Happy BTS TpT shopping day! Woot! Woot! I can’t believe that the big sale is finally here! In honor of the big sale, my TpT store is 20% off through Thursday! Remember to ender the code BTS14 to receive the extra discount! Thank you to More than Math by Mo for the cute button! I can’t believe that there are only three more Mondays left until I officially go back to school! I say officially, because I have been in my room a ton working my fanny off! I am completing redoing my whole color scheme this year, so lots of bin changing, painting, and decorating is going on! I didn’t get much crafting done this week, as I was prepping for the big sale! 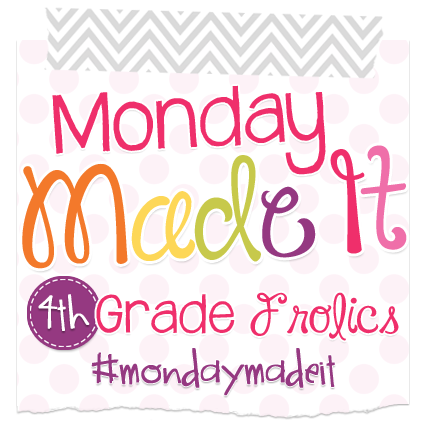 Sooooo… I am linking up with Tara from 4th Grade Frolics to share what I did get done! 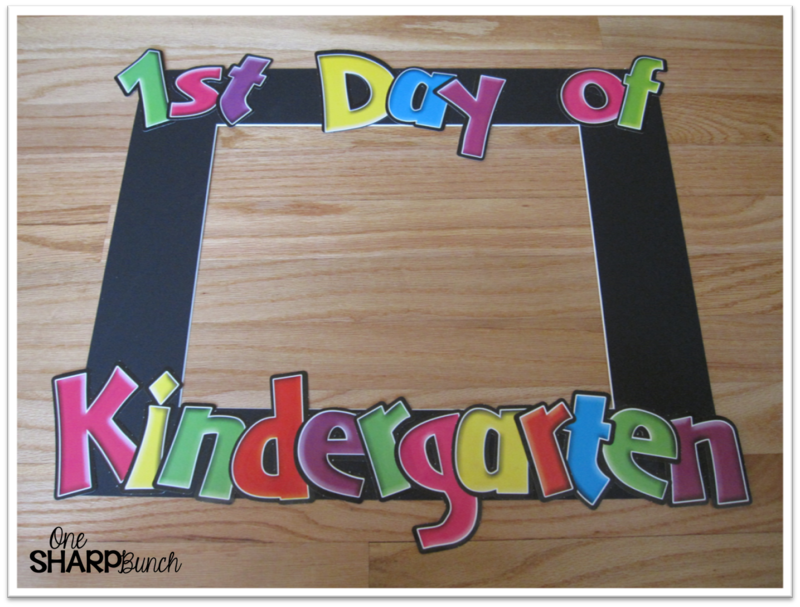 First up, my “1st Day of Kindergarten” frame! I totally stole this idea from Patti at Mrs. Katzman’s Kinder Cubs. She made hers a few weeks back, and I fell in LOVE! I got the mat from Michael’s on clearance for $2.49 plus the 15% off for being a teacher. The letters came from Staples, and are Barker Creek 4″ Neon Letter Pop-Outs. I am so excited to share this with the rest of my team on the 1st day of school! I can’t wait to see all the smiling faces peeking through! This next Monday Made It was a huge undertaking! I have been working on it for the last five days straight, and only left my perch (aka my couch and computer) for a few hours on Sunday! You are probably wondering what I could possibly be doing for so long… Well, I began compiling the poems we use for shared reading. It took me this long just to finish August/September, but I promise you will love them! This is just two poems from the packet! I will blog more tomorrow Read more about my “I Can Read” poetry binder and how I use this binder for homework here. I wanted to share it with you before the BIG sale ends! 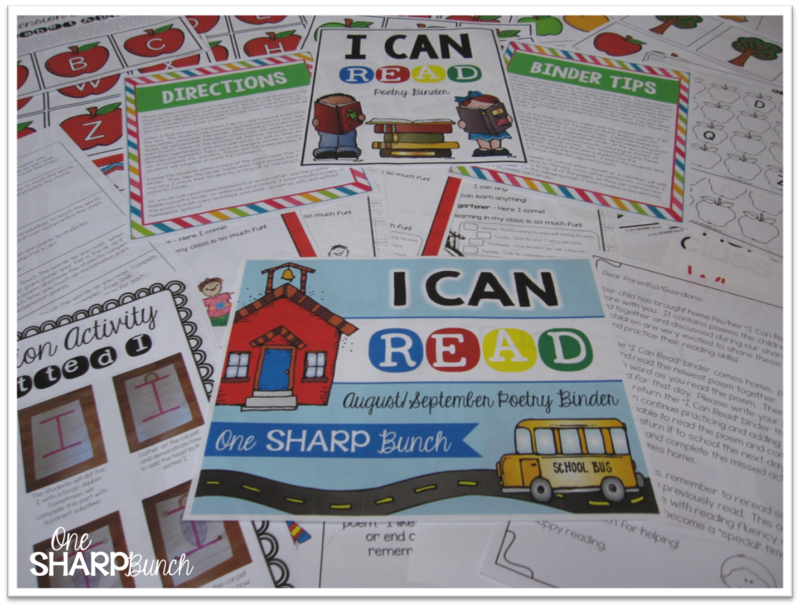 The “I Can Read August/September Poetry Binder” contains six poems, including weekly lesson plan, four options for printing the poem (color, bw, color with homework and bw with homework), pocket chart cards with pictures, and extension activities! Click on the picture to head over to my TpT store to see a preview of this pack! Each poem includes a daily activity! Some of the activities will address concepts of prints, phonemic awareness, and word wall words, as well as other literacy skills. You can use highlighter tape, vis-à-vis markers, pointers, word-swatters, etc. to complete the activities. These are the same activities that the students will complete at home for homework in their “I Can Read” binder! Surely enough to keep the poem and kiddos going all week long! I went ahead and bundled this pack, so you could take advantage of the sale! It’s discounted $15, while I continue adding the rest of the months! Plus, with the sale, the savings are HUGE! Don’t forget to link back to Tara’s Monday Made It post and to my TpT store to stock up during the big sale! Happy shopping! Oh my gosh, I love love love it!!!! Thanks, Kristen! Now I need to start the October pack! LOL!